A licensed school administrator in Massachusetts, Naomi Tetherly teaches within the East Longmeadow Public Schools and draws on her experience teaching language arts to students in kindergarten through 12th grade. Naomi Tetherly enjoys running in her spare time, and belongs to the Empire One Running Club (EORC) in Western Massachusetts. The organization holds a series of races throughout the year, including the Holyoke Elks Cross-Country monthly race series. 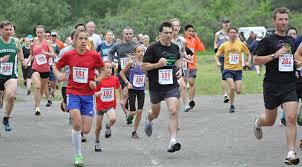 The racing series consists primarily of 5k races, with five 8k races being held once a month from April through August. Races take place on Thursday evenings on courses along dirt and gravel roads, and the routes also circle the scenic Ashley reservoir. Participation is open to men and women of all running skill levels and individuals aged 16 and under and over 70 may participate for free. A $5 participation fee is required for all other runners. The EORC provides refreshments at the end of every race and distributes prizes through a lottery drawing. 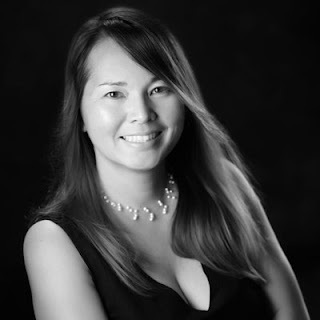 Currently working on a children’s book, Naomi Tetherly serves as a teacher at East Longmeadow Public Schools in Massachusetts and is licensed to work as a principal and vice principal in the state. A holder of a master’s degree in school administration, Naomi Tetherly is an avid runner and enjoys cross-country and trail running. For many passionate runners, participating in the Barkley Marathons is on their bucket list, but even applying for entry to the race is shrouded in mystery. Its creator and race director, Gary “Lazarus Lake” Cantrell was inspired to stage the event after learning that Martin Luther King Jr.’s assassin, James Earl Ray, was once caught only 8 miles from Brushy Mountain State Penitentiary after having escaped 54 hours earlier. A portion of the race passes through the now closed prison. First held in 1986, the annual 100 mile (some say it's more) ultra trail marathon involves finishing five 20-mile loops through the punishing, fog-filled terrain of Tennessee's Frozen Head State Park, with a race cut-off time of 60 hours. It has over 60,000 feet of cumulative elevation gain, more than twice the height of Mt. Everest. Only 35-40 runners are allowed to participate each year, and only 15 runners out of about 1,000 have finished the race within the prescribed cutoff. In the March 2018 edition, like in so many other years, not a single participant finished the race. Naomi Tetherly is an educator who served as the special education director and academic enhancement coordinator at Robert M. Hughes Academy, a charter public school in Springfield, Massachusetts. An avid runner and vegetarian, Naomi Tetherly is dedicated to maintaining good health. - Tofu, tempeh, and edamame are all soy based products that are high in fiber and healthy fats. In addition, they provide much needed calcium, iron, and vitamins. Tofu and tempeh can be marinated and included in a wide variety of dishes, including stir fries. 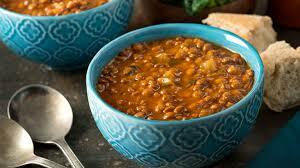 - Lentils are packed with protein and are also high in fiber and complex carbohydrates. They can easily be incorporated into salads and soups or combined with quinoa. - Chickpeas and beans are inexpensive and easily prepared. Black, kidney, and pinto beans are all very popular and used in many recipes. These legumes are also a good source of magnesium. - Quinoa is an ancient, gluten free grain that is a good source of protein and complex carbohydrates. It can be used to replace rice in dishes. - Nutritional yeast is a staple in many vegetarian diets and has a cheesy flavor. Found in powder or flake form, nutritional yeast can be mixed with water and used in dips, dressings, and sauces. - Nuts and seeds are a fantastic source of fatty acids and protein. Peanuts, cashews, almonds, walnuts, sesame seeds, and sunflower seeds can all provide a nutritious snack whole or in nut-butter form.